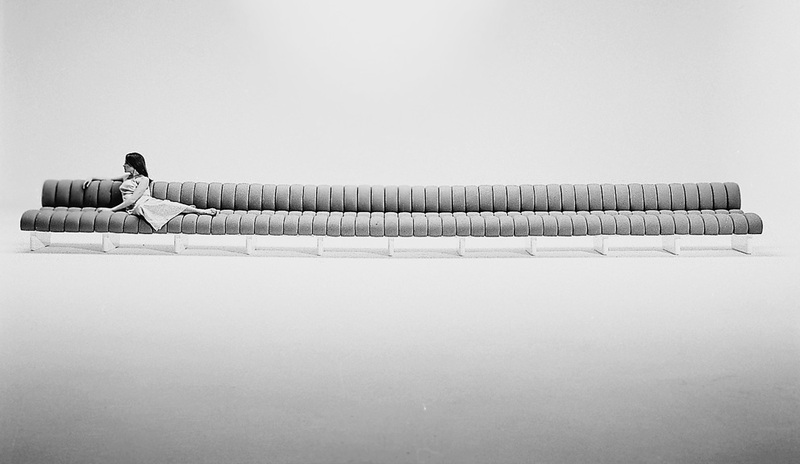 Marco Zanuso was likewise a pioneer in 1967 when C&B Italia (later B&B Italia) opened for business, in the form of his endless fiberglass and polyurethane sofa called “Lombrico”. Post-war design is growing old. Marco Zanuso was born in Milan 100 years ago, on May 14, 1916. 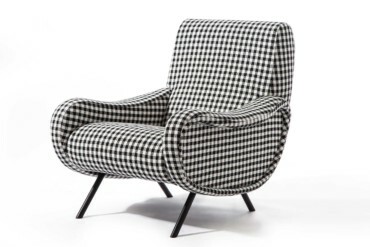 He is one of the founding fathers of post-1945 Italian design. In her “Design Lexicon Italy” Claudia Neumann calls him one of the “founding fathers of Italian industrial design,” a formulation that found some favor in Italy. 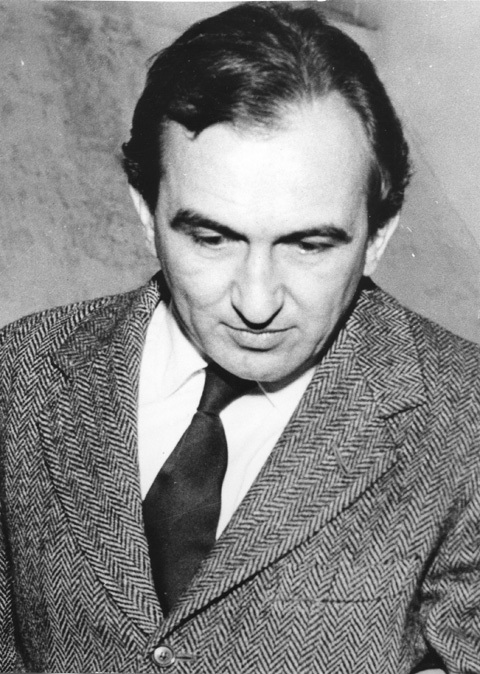 Zanuso has vanished from memory as an architect who was specialized in industrial building but also designed a large number of residential properties and private homes this side of the Alps, just as he has as an industrial designer during the pioneering days of Italian economic reconstruction. This shows on the one hand just how much design today is considered only as a phenomenon of aesthetic differentiation with no ties to prevailing production conditions. We have long since ceased to understand it in relation to the industry that makes it and sells it. Even the materials on which it is based and the uses for which it is intended seem somehow secondary to us. Although we make neither our Smartphones using our home 3D printers nor other useful items, we are no longer interested in how things are conceived (other than the brands and the marketing), what purposes they are meant to serve. However, the ability to aesthetically differentiate rests on history, on knowing and interpreting it. Marco Zanuso would have quite a lot to offer us in this regard were we to remember him. For example, he felt that as regards design and architecture, there is “no need to kindle wishes among the public as long as there are needs” that have not yet been considered. Rediscovering Marco Zanuso is on the one hand very easy: Many of his designs are still on the market, are offered by A as in Alessi to Z as in Zanotta. On the other, you really need effort and a “thirst for knowledge”, which Zanuso said was one of his characteristics, to find anything out about the Milan architect who was also a designer. First up, he should not be confused with his nephew Marco Zanuso jr. who was not born in Milan until 1954 and for a time worked on architecture and design projects in his uncle’s company. There are monographs on the architect, but they tend to have come out exclusively in Italian and are long since no longer available. That also applies to the two latest publications on Zanuso’s oeuvre that Silvana brought out not so long ago, to be precise in 2013. We have the Milan Chamber of Architects and its President Daniella Volpi, who studied under Zanuso, to thank for both. These latest books are not even to be hand second hand. The slender tome entitled “MZ Progetto Interato” accompanied an exhibition at the Chamber of Architects dedicated to Zanuso’s design projects. The more expansive volume, edited by Roberta Grignolo, contains Marco Zanuso’s writings penned in the context of his architecture and design projects. Gillo Dorfles’ account of Zanuso the designer came out in 1971 and can therefore at best be considered an interim evaluation of his oeuvre. All the more important are thus the intelligent, wide-ranging and vivid monograph by François Burkhardt, published by Motta in 1994 and the most comprehensive to date, which Manolo De Giorgi wrote for Skira on the occasion of a Zanuso exhibition at the Triennale in 1999. Thus, Marco Zanuso the architect and designer still remain to be discovered by many – 15 years after his death in 2001. He was in born in Milan, the fifth of six children, his father a doctor. From 1934 onwards, he studied at the Politechnico. While still a student, he and his friends entered competitions, for example one to reconfigure the cathedral plaza. From 1936 onwards, it was there that the Palazzo dell’Arengario was being erected, that domineering ostentatious fascist structure designed by his teacher Portaluppi; in 1938, Zanuso and his four comrades proposed a closed, cubist volume with a glass cuboid in front of it as an entrance. 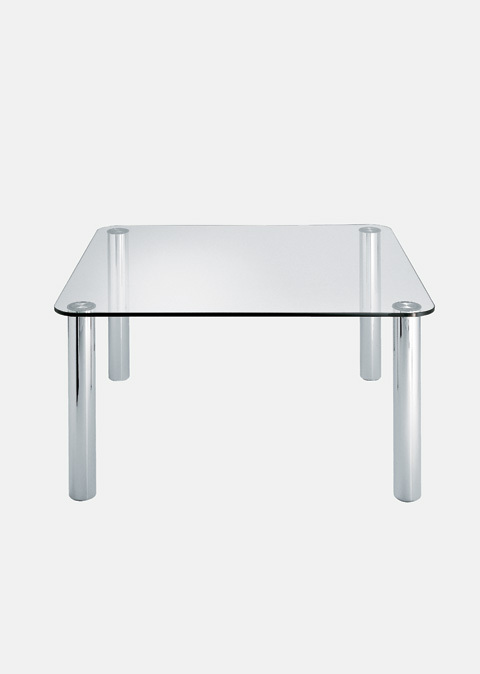 Zanuso graduated in 1939 and at an early date forged links to the Milan office of B.B.P.R. (Banfi, di Belgiojoso, Peressutti and Rogers), for which he worked, just as he did for Giuseppe Terragni. He likewise associated with magazine moguls, “Domus” founder Giò Ponti and Giuseppe Pagano, at the time chief editor of “Casabella”. When, from 1943 onwards, the German Wehrmacht and the fascist militiamen put down any form of resistance with the greatest brutality, many Milanese representatives of design Rationalism found themselves in mortal peril, for seeing things differently and for helping the persecuted. Pagano and Banfi died shortly before the end of the war in the Gusen concentration camp in Austria. Zanuso’s first years as a professional were spent in the circles of these committed architects. As early as 1942 he was asked by “Domus” (along with the architects from B.B.P.R. and Carlo Mollino) what his concept of an ideal house was. Zanuso devised a “Nucleus”, a growing house that can meet changing needs by gradually being expanded. When Ernesto N. Rogers, a Jew, returned to Milan from exile in Milan and took over running first “Domus” and later “Casabella” he made Marco Zanuso his assistant. Soon, the latter was presenting his own visions, such as a slender long home that snuggles up to the Ligurian terraced gardens. In 1949 Zanuso first took the stage as the designer of an everyday object. He entered the prototype for an armchair that could be disassembled in the international Museum of Modern Art competition for designs for low-cost furniture. Most of the entries were from Germany. Across the tubular frame that could be taken apart he spanned canvas that boasted triangles on the sides to stop the two movable upholstered sections from slipping; a reading lamp slots into the upper end of the tube. Today, images of the prototype bring to mind projects by Matali Crasset and products by the major Swedish furniture makers – which was still in its infancy back then. What he did was geared to a “freer and more dynamic lifestyle” or so Zanuso told François Burkhardt, “always ready for change, for a temporary stay” and therefore easy to take apart, with each component being replaceable. 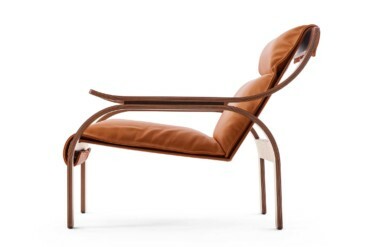 Decades later Zanuso revisited the armchair and adjusted it to new needs for presentation, In 1972 he re-issued it in modified form and fine-tuned to the zeitgeist – with leather and chromed tubes – as the new “Maggiolina” model. To this day, the armchair is an ideal compact alternative to the Eames “Lounge Chair” or Perriand & Le Corbusier’s “Chaiselounge”. In the field of design, Marco Zanuso’s oeuvre stood out for his inventions and this fostered his international reputation at the time. Materials, shapes, manufacturing methods: at least one of these variables, if not a combination of them, tend to define his innovations. Take the Pirelli company, which provided rubber bands and foam rubber that constituted ideal materials with which to produce flexible furniture. Thus, in 1947 Pirelli 1947 founded the Arflex specifically to exploit this potential. Marco Zanuso designed the first products, which went on show at the 1951 Milan Triennale and promptly bagged a gold medal. The recliners and folding chairs for the first collection have been forgotten, as with their visible flexible bands they are strongly reminiscent of camping furniture. 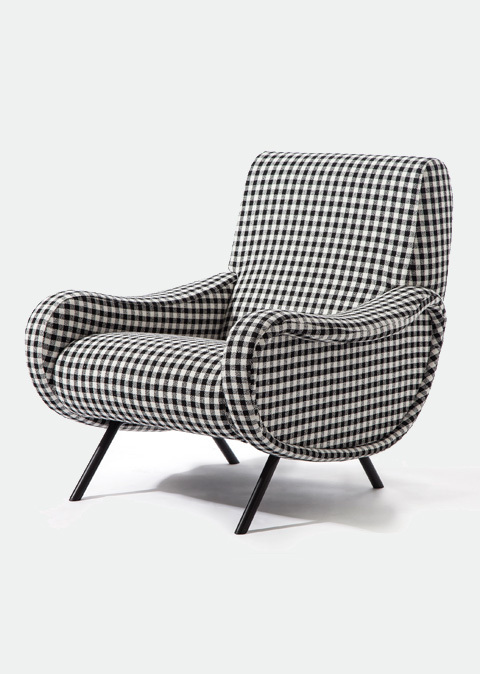 The first piece to come out was the “Antropus” armchair (1949), which boasted sides, a seat, a backrest and a frame that could be manufacturer “industrially” and largely independently of one another. The “Lady” armchair (1951) takes this principle further. 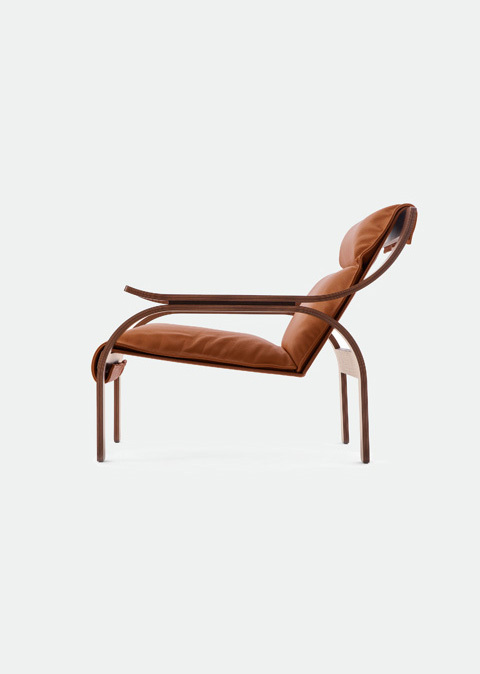 Together with the “Woodline” model (1964) Cassina has re-issued the three items as part of its “I Maestri” collection. Anyone who feels such furniture has too much of the “miracolo economico” about it, those flowing organic shapes of the era of economic reconstruction in Italy, may be more enthusiastic about other periods in Zanuso’s output. His oeuvre as a whole can always be considered a matter of team work. He not only spurred others on in his own architecture and design company, but in the course of time also emerged as a champion of the discipline, taking part in the foundation of the Italian design federation ADI and likewise in devising and realizing the “Compasso d’oro”, which is as renowned as ever today. Zanuso repeatedly played a decisive role in the influential Triennale. Forever, for the X. Triennale in 1954, he joined Carlo di Carli and Lucio Fontana on the team of curators. At that time, the event took as its motto “The Unity of Arts”, which from the curators’ naturally included not just arts, crafts and decorative design, but also architecture. A good 500 kilometers to the north, in Ulm, Germany, the founders of HfG Ulm were busy trying to persuade the first rector, Max Bill, that no he was not in charge of an arts college. Or, to quote Otl Aicher: In Ulm at this time “art was grasped as design-irritating”. This was anathema to Zanuso, and not just in his collaboration with Fontana. As a university professor from 1961 to 1991 he likewise influenced the design understanding of his day. His assistant was Renzo Piano. Countless designers, not least, for example, Patricia Urquiola, reference his teaching of Industrial Design as having been formative. His company payroll included the likes of Cini Boeri, Aldo Rossi and Luca Meda. In the field of architecture, his longest-standing collaboration was with Pietro Crescini. In design, by contrast, Richard Sapper (1932 to 2016), his junior by 16 years, became a partner and friend. Between 1959 and 1977 Sapper worked for Zanuso. The two together created many well-known objects. “We all know,” Zanuso said in 1993, when looking back at the time, “that discussions can be highly productive. Because what happens is precisely that different outlooks collide and interact. That is how we worked together.” To this day, in both Italy and Germany the credits for the works in question often tend to be somewhat one-sided. Once recently, in the 1000th issue of “Domus”, joint projects were attributed only to Zanuso. In Germany, by contrast, Sapper on occasion gets identified as the mastermind. Moreover, during their time collaborating both continued to work on their own design projects, too. In the form of the “Grillo” fold-out phone for Siemens Italia, Zanuso and Sapper created a communications device in 1965 that pointed far into the future. 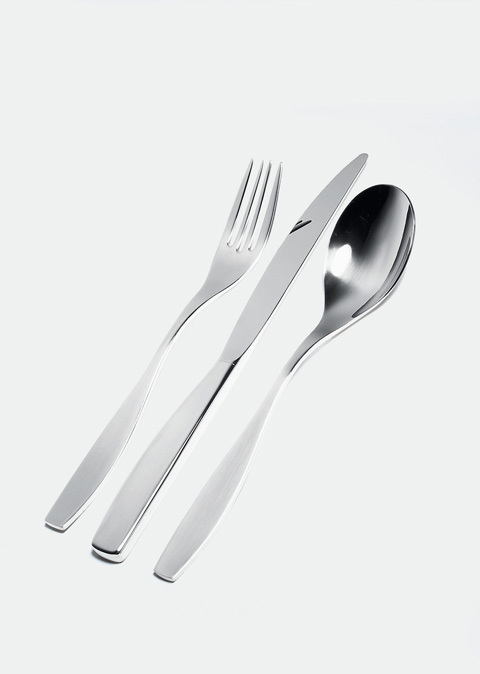 It is typical of the shape taken by many of the two designers’ joint and very fruitful projects. 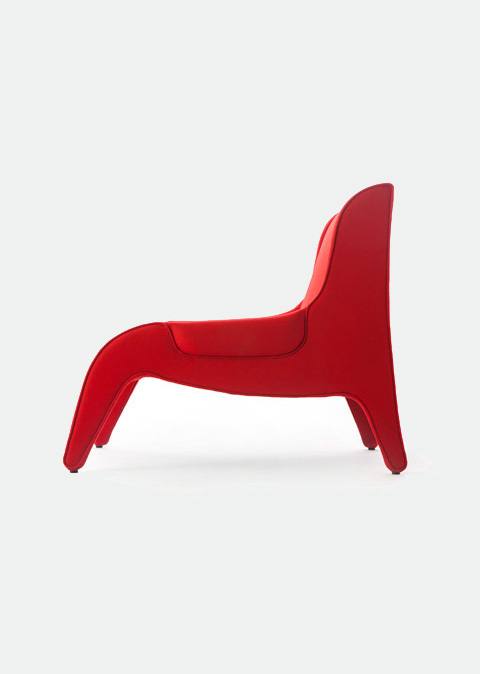 Closed, “Grillo” rests on the table in a slightly curved form that snuggle up to the hand – until used, that is. If you pick up the phone, the smaller, lower section folds out to – with the integrated mike – and the dial integrated into the receiver. The simple fact that its volume was much smaller than that of conventional phones of the day marked an immense step forward. Essentially, the “Grillo” presents the full-fledged typology of the key-free and cordless phones that came out later. Only technology and user needs lagged behind. 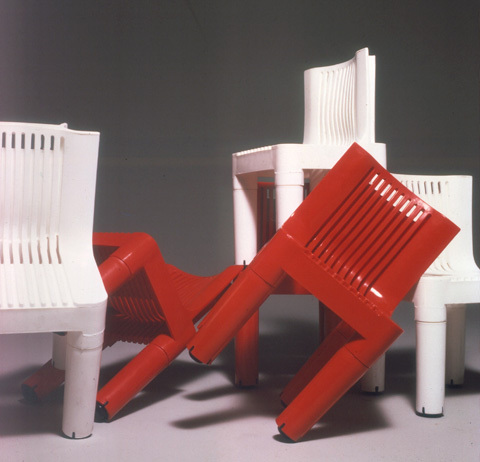 Many other innovative projects were to follow, such as the first chair made completely of plastic: the K1340 for Kartell dating from 1964. Given the structural necessities involved, the children’s furniture morphed into a versatile object for play that, as Zanuso wrote, “fired children’s imagination when it came to building castles, towers, trains and slides.” Because, for stability’s sake the chair had bracing connecting elements that made it a marvelous modular kit. Zanuso and Sapper wrote their own chapter of entertainment electronics design history with their work for Brionvega, the company Giuseppe Brion had founded. If Apple design is today associated with Braun products then a comparison with the Brionvega TVs and radios would also be in order. Zanuso also designed the Brionvega factory in Caselle d’Asolo, which was built between 1963 and 1968. Zanuso connected table-like concrete structures of different heights with wrap-around glazing. He had made a name for himself as a factory architect with major production facilities for Olivetti in Brazil (1959) and Argentina (1962). The 1965 Brionvega catalog, bound in red cloth, presents countless conventional radios and television sets. 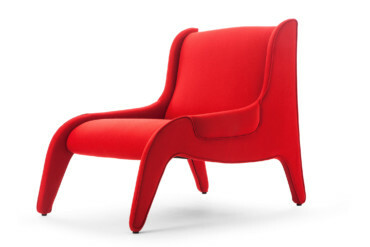 Later, Ennio Brion, son of the company founder, was to re-align the program more clearly toward “Good Design”, something Zanuso also advocated. The most important projects for which Zanuso and Sapper were responsible were the TVs – the “Doney” (1962), “Algol” (1964) and “Black” (1969) – and the “TS 502” radio. For “Doney”, the designers minimized the cupboard-like TV cabinet customary at the time by rearranging the layout of the technical components and squeezing them up close to the cathode tube. For ad purposes, “Doney” was also available in a transparent casing. The first “iMac” strongly resembles this model. 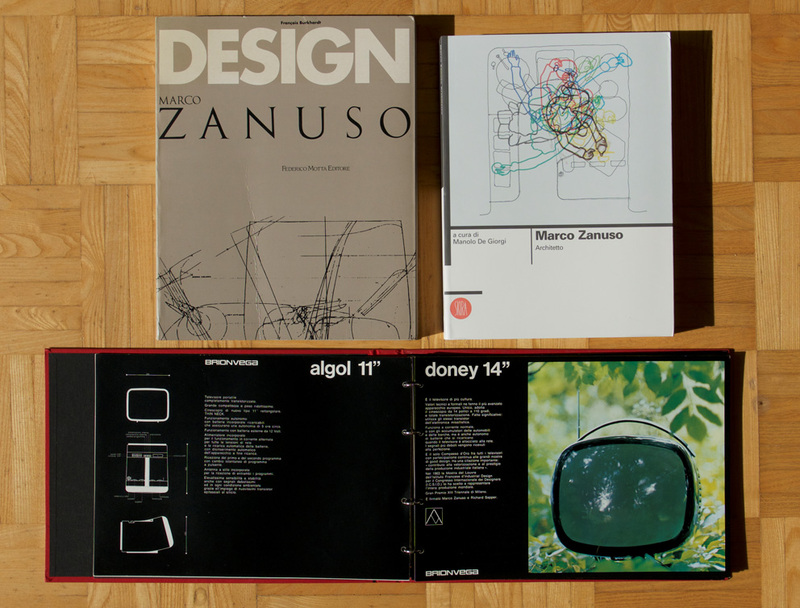 “Doney” was itself portable and the designer duo proceeded to mobilize the TV even further with “Algol”. The smaller cathode tube was now angled slightly upward in a colored plastic casing: The ideal appliance for all those in the Sixties who wanted to lie on the floor to watch TV. And a large battery pack meant they could do so away from a power socket for quite a while. Shortly thereafter, the designers came up with “Black”, where the medium becomes the message. “Black” is an enigmatically dark something, almost a sublime object. Until someone turns it on, that is. 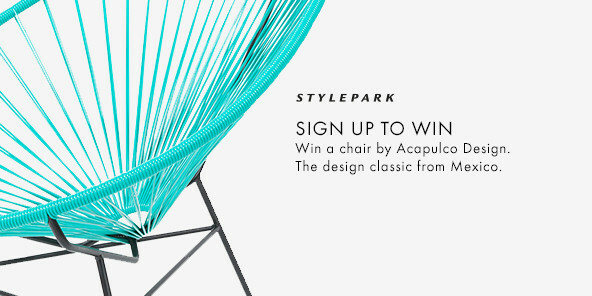 Only then can you see what this sculptural item is meant to do. The “TS 502” radio boasts loudspeaker and receiver as two separate cubes connected by a hinge. Fold the two together and the dials and loudspeaker disappear securely in a case with rounded edges. The handle and the antenna could also fold away flush with the surface, a real challenge to production tooling of the day. 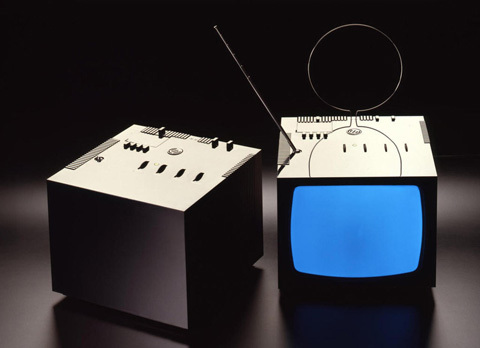 The two designers continued to advance the television and radio sets. The iconic nature of both appliances is so great that they have survived Brionvega itself changing hands on several occasions. And other than “Black” they are available to this day. 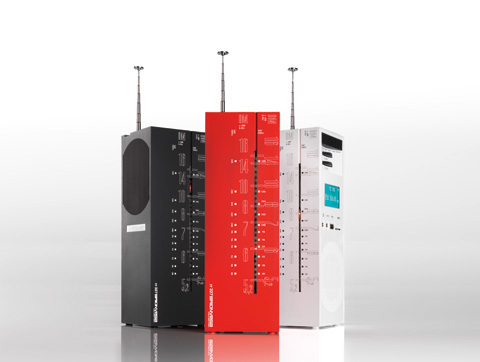 Thanks to changed technological innards, they use Bluetooth, USB and WLAN connectivity to remain up to date. In 1993, at the age of 77, Zanuso declared that design was something “for the young dudes” and that he now saw it more as a “supplement to my architecture”. There are countless outstanding examples of his buildings – running the whole gamut from Brutalism to Regionalism. For example, the holiday homes on Sicily (1962-4) that appear to grow out of the countryside; small Spartan dwellings, grouped around a shared inner courtyard which raffia matting protects from too much sun. Or the farm for South African retail tycoon and philanthropist Sydney Press in Lydenburg (1975), now owned by a collective of erstwhile farm workers. Or the theater buildings for Girogio Strehler, with which he sought to “make a mark” in his home town of Milan. The Piccolo Teatro, a “fabbrica dello spettacolo”, planned as early as 1979, was first completed in 1998 when Strehler was already dead and without Zanuso, causing the architect to drift into melancholia. Political intrigues relating to the necessary permits, aesthetic flak, and the links between the project and the Tangetopoli corruption affair tainted his fame. The Bolzano municipal theater for performances in German and Italian was the last piece Zanuso realized. On June 11, 2001 he died in his home in Milan. 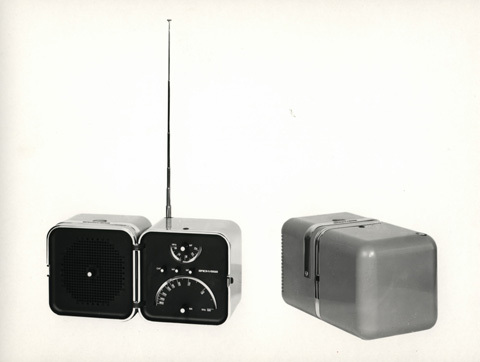 Mutable shape: the “TS 502” radio (1963) designed by Zanuso and Sapper soon became a design icon. Its technical features have repeatedly been modified. Today there are Bluetooth and WLAN versions. Photo © Brionvega. Out of print and no longer available: Monographs by François Burkhardt (1994) and Manolo De Giorgi (1999), including a glance at the pages of the 1965 Brionvega catalog.